Designing the perfect roof has never been more challenging. Considerations follow a four stage process; establishing the client’s brief, ensuring compliance, finding the solution and roofing options. So first of all – what does the client need this specific roof to do? Its design and construction must meet a matrix of complex and strategic variables from planning points and performance requirements to BREEAM points on buildings and BRE ratings for products. Then there’s cost, structural requirements and buildability. Stage two of the job is to waterproof a roof using an engineered solution specific to the project. It’s hard to negotiate the compliance minefield when there are so many different standards for any one building element. Once the brief is understood, options can be evaluated, materials chosen and the methodology defined. At stage three when finding the solution, the formula is about cost + design + compliance. So what are the influencing factors when selecting the correct specification? There are four main waterproofing solutions; single ply, hot-melt waterproofing, pre-formed zinc roofing and cladding and cold, liquid applied rubber waterproofing systems. Stage four deals with waterproofing options. Project Merlin’s wave form roof is an example of a high quality single ply waterproofing system. The building is a warehouse with a steel frame. It’s a low cost metal deck without roof-mounted plant. The project is cost driven, over a short programme. Why specify single ply? It has a 50 year plus track record. It’s suitable for new build or refurbishments; low in capital cost and cost in use and installation is safe, rapid and clean. Plus it’s from a well managed and regulated sector, courtesy of SPRA, the Single Ply Roofing Association. A hot melt waterproofing system is of concrete construction where there are limited falls. It offers circulation area/extended recreational areas and is low maintenance. There needs to be design awareness of heavy live loads on structure. So why choose hot melt? The key benefits are long life expectancy and water is unable to track under a fully bonded system, ideal for green roofs on concrete. Material characteristics to note are that it’s compatible with bitumen and has a life expectancy to match that of the building. It’s easy to install at temperatures as low as -18ºc and as it’s highly resistant to impact damage, hot melt is guaranteed for up to 35 years. 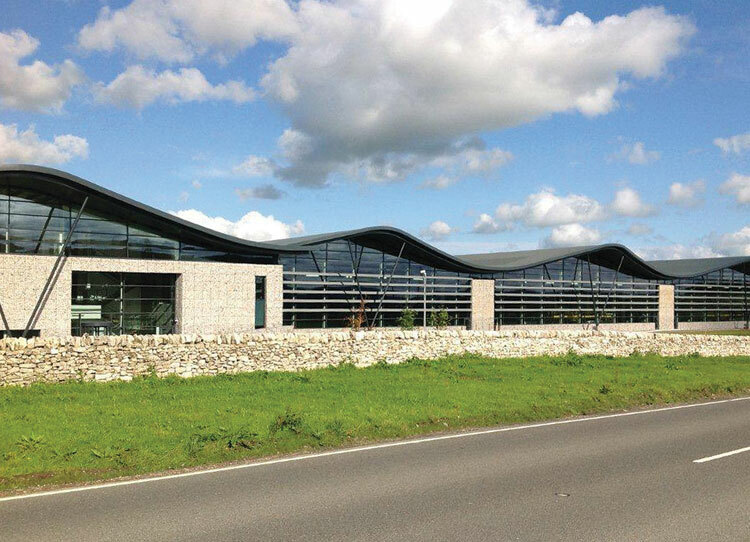 Pre-formed zinc roofing and cladding offer prestige commercial buildings dramatic aesthetic appeal. While representing significant investment, the building has long durability/life expectancy due to natural patina formation. Constructed from robust material, there’s limited maintenance, it’s 100 per cent recyclable and offers Excellent BREEAM credentials. Cold, liquid applied rubber waterproofing comes into its own where there is complex detailing such as a plant room. It’s useful where work is difficult to access and/or there’s restricted working space. However, it needs to be a cost effective on metal deck refurbishment. It’s cold applied using no hot works and in temperatures as cold as 0ºc, liquid coatings cure quickly. Water repellent on application and able to be applied on damp surfaces, its excellent elasticity and tensile strength make it ideal for both refurbishment and new build projects. Fortunately, the specifier can benefit from comprehensive technical support from a manufacturer or supplier to include BIM objects, standard details, NBS Specifications, Cut-to-Falls insulation design, wind load and thermal calculations and third party accreditation. 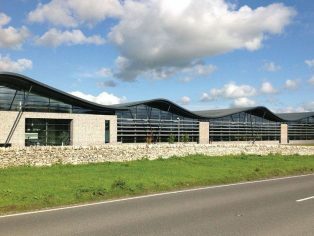 The blog at www.singleply.co.uk/blog explores some of the common problems in roof design and system choice. Opt for early independent support from an experienced supplier: make an informed choice. Don’t risk uncoordinated design input. Have your roof designed, specified and co-ordinated from the deck up by a single PI insured designer. Meet all the statutory requirements by using an independent, expert design service and get full, free technical support until completion. Choose a proven materials supplier with local availability, shorter lead times and high stock levels. Make sure your roof ’s fitted by an experienced, accredited contractor who will integrate the roof system with your whole building so it performs well and looks great. Buildability issues can crop up on site. Choose a supplier who will monitor the install-ation and provide quality field support for your contractors. Don’t fall between suppliers who may dispute responsibility in the event of a problem. Have the roof designed, installed and guaranteed from the deck up by a PI insured single entity. A whole roof service, plus maintenance plan will protect you and give your client confidence.